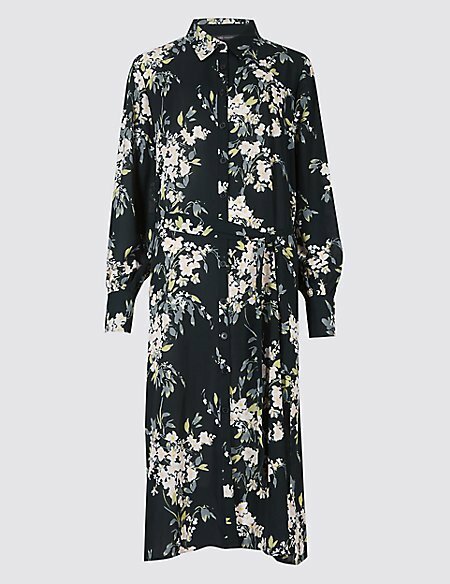 Latest must have dress from M&S. According to the Daily Mail Online, This Dress is the latest must have for fashion bloggers. It looks to me like a nightdress my Granny might have worn. Well, that's an absolute beauty! it looks like something Olive from 'On the buses' would wear. Lovely colour too. Really fetching. Little House on the Prarie comes to mind. Very 60's I think - my sister certainly had one similar in a floral print that she wore with a floppy hat. Hideous! I can’t think what the target market would be for that! Stone the crows that's awful! Is it any wonder that M & S are going down the pan and having to close stores? What demographic are their buyers aiming at? What has happened with fashion over the past few years is that, at one time us oldies could wear pretty much what the young are wearing. But now, things aimed at youngsters are designed to look frumpy on us but great on them [that's my theory anyway]. Blush pink is so last year, though [or even the year before]. Still could always double as a nightie in an emergency! grannyactivist I had similar in seventies. I wore it with a white lace cotton waist slip that was a couple inches longer than the dress. And floppy hat and large sunglasses. Or with white high boots. Except I am that gran! but it definitely won't be making it to my wardrobe. Horrid style, colour and price. Hideous as a dress and worse as a nightdress- who chooses this rubbish? Do M&S fashion dept. have a death wish? My immediate thought was little house on the prairie too. Well, it's horrible! and too expensive for a nightie. 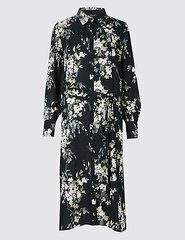 Come to think of it, I may have had something of a similar style when I was young - Laura Ashley - but not that ghastly pink and it had flowers on it. Worn with a floppy hat. Bbevan you had the same thought! I remember something similar in the 70’s, in peach but mine actually as a nightdress ( I couldn’t afford a proper one). Then of course I was about 18, and it was what other people were wearing. Definitely not now! Actually I am wearing one, as I post. Only joking. It is absolutely hideous! Yes, I used to wear similar as well, Laura Ashley floral with two inch of broderie anglaise petticoat peeking out underneath. Never in pink though. I think it'd look cute on the right person (probably one of my DDs, and definitely not me ).